Caravan migrants in Mexico face uphill battle to make legal asylum claims in the US. Authorities keep a strong grip on caravan migrants to prevent another 'Tijuana-like' storming of the border. EAGLE PASS, Texas — Members of a migrant caravan, currently held in a Piedras Negras shelter across the border from Eagle Pass, are being closely monitored by officials on both sides. Authorities have managed to keep things under control, preventing a mass storming of migrants through ports of entry and across the Rio Grande. The 1,800 caravan migrants are not being let out until Mexican immigration officials finish issuing them permits. While most hope to make their asylum claim in the U.S. soon, a backlog at the ports of entry is forcing migrants to wait in Mexico for months. It’s a tough pill to swallow for many undocumented migrants who use up their savings and abandon their home countries for a chance to get through into the U.S. Many times, under false pretenses made by their smugglers. A 25-year-old Guatemalan man detained in Sierra Blanca, Texas has learned that the hard way. The KENS 5 Border Team listened to his testimony over the phone at the Guatemalan consulate in Del Rio. The man, whose identity we concealed for privacy concerns, told the Guatemalan Consul Tekandi Paniagua he is calling it quits. He will no longer try to come back to the US after serving a 3-month prison sentence for crossing the border illegally a second time. “We have the responsibility of informing them about the consequences these decisions have,” said Paniagua. Consequences of not following the rules. Precisely what the 1,800 migrants at the warehouse-turned-turned shelter in Piedras Negras are being warned about. The Laredo Catholic Charities Director Benjamin De La Garza visited the shelter earlier this week. The church is helping authorities in Mexico provide humanitarian aid. “They have food, they have clothing, they have tv, they have recreational activities, they’re being vaccinated,” noted De La Garza. Mexican authorities are also issuing year-long permits to stay and work in the country. Three hundred visas have been issued and 200 people have decided to stay and work since the caravan’s arrival Monday. 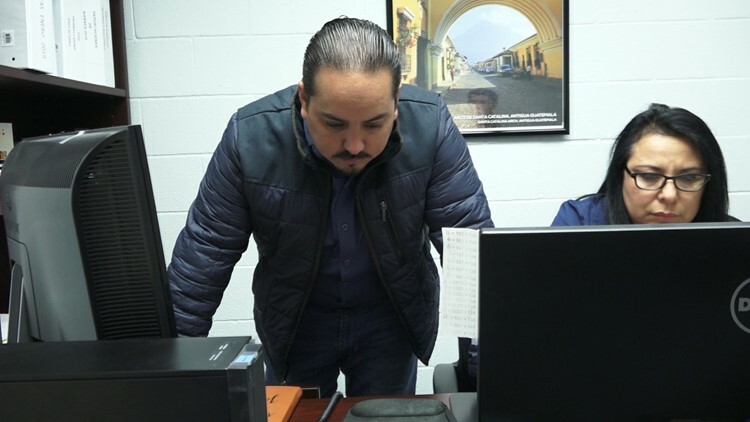 Many Piedras Negras residents working on the US side complain migrants are being given preferential treatment over their own. “Why does Mexico want to keep care for them? Are they going to support them for six, seven, eight months or a year?” wondered Piedras Negras native Guillermo Ramirez. All the aid is part of an apparent strategy to keep migrants at ease and from choosing the illegal route into the US. However, it may also be feeding a false sense of hope. 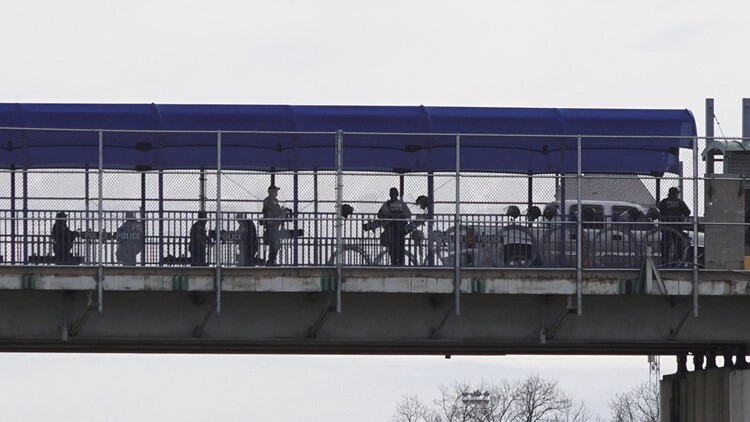 The ‘legal way’ into Eagle Pass is through the ports of entry, and US Customs and Border Protection said their two ports have the capacity to process about 16 people a day. “None of those ways are a guarantee one will be victorious,” warned Paniagua. Meaning asylum claims often get denied by US immigration judges. 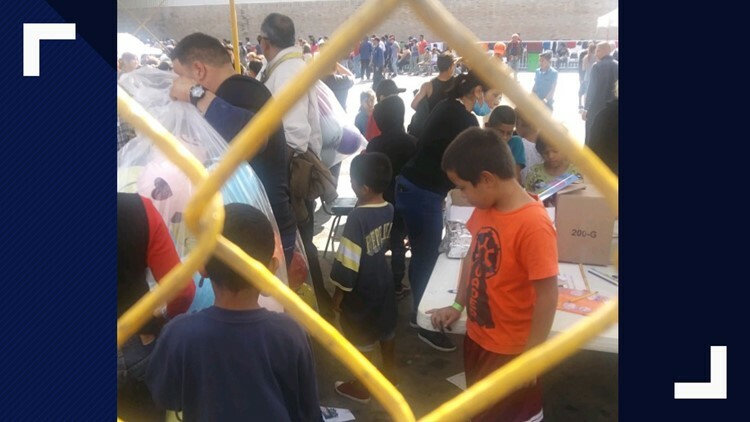 Meanwhile, the Coahuila state government announced shelters in Piedras Negras are full and the state will not be allowing any more migrants. Once caravan migrants get their permits, they will be able to roam free in Mexico. With backlog at the ports, CBP suspects those migrants might choose to try their luck at another border city, cross the Rio Grande, or give up and ask to be deported home out of desperation.